Ravel or unravel? Funny that these words are considered synonyms. Anyway, despite what many say about knit fabrics not raveling (or unraveling) or fraying, it simply isn't true for a sweater knit fabric. The raveling begins. And yes, I pulled the yarn of this cotton knit fabric just for this pic! But the fact that a sweater knit fabric might ravel shouldn't scare you away. Most well prepared wool fabrics will experience little raveling or fraying as you put the cut fabric through it's paces serging and sewing. Wool, even the superwash variety, will full a bit in the preparation. This makes the fibers stick to each other enough to survive the normal stretching involved in constructing the garment without an incident of raveling. I am now in the midst of making a cotton knit sweater for summer using this fabric. This loose cotton knit, will definitely have the tendency to run. But there is a solution. Actually, a solution is the solution. I made a paint-on stabilizer solution with Sulky Super Solvy (Amazon affiliate link). The instructions for making the solution are included in the package. The product comes on a roll. Here's what the stabilizer looks like before the solution is made. In its solid form, Super Solvy is used to make design templates and pattern guides. But by dissolving 18 inches of Super Solvy in 8 ounces of water, painting the solution on the edges of my cut fabric, and allowing it to dry for a couple of hours, I no longer need to worry about runs, ravels, and frays. The edges have a slight crunchy feel; the fabric feeds beautifully into sewing machine or serger. Once I complete the sweater, the crunchy will disappear in the wash.
Next time I'll only make half the recipe. I'm currently storing my remaining solution in an airtight container. I don't know yet how well it keeps. 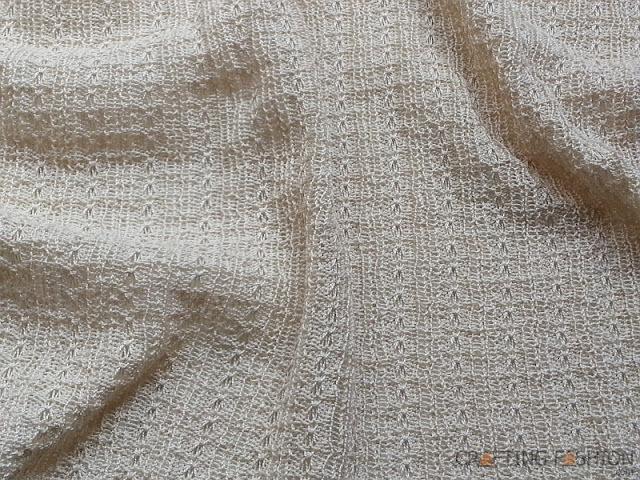 Working with knit fabric can require other stabilizers, too, such as stay tape, clear elastic or interfacing. I'll get to these another time. 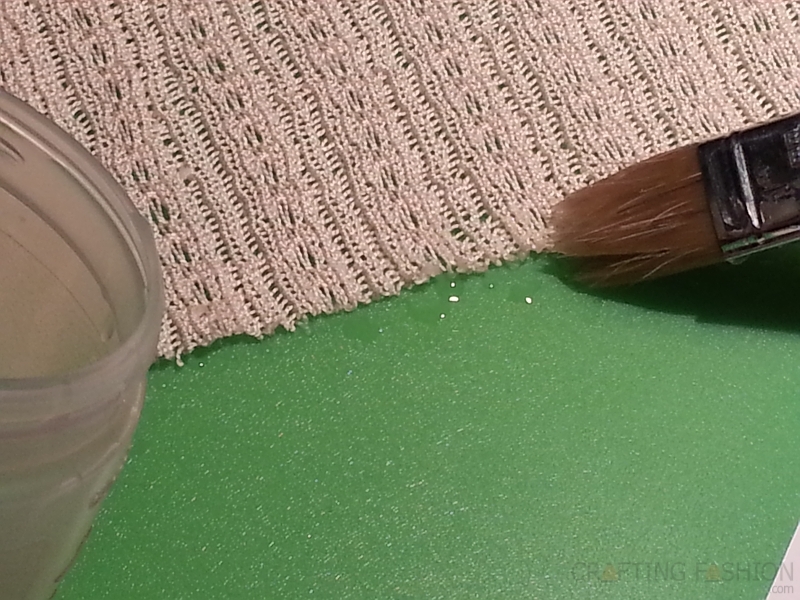 The solvy keeps just fine and if it dries out, just add more water...i have a jar in my sewing room where all the little leftover bits of Solvy go after cutting...when i need to do linen, silk or something you edges, then i add water, it dissolves and i go to work.... PS...I have also been known to pour the Solvy Solution onto my teflon cookie sheet, let it dry for a couple of days and scrape it back into the 'bits' jar.... that works, too, if you are afraid it might stick around too long..
And to add to your discussion about knits raveling....all knits (in my experience) ravel from one end but not the other... So I cut my knits with a 'one-directional' layout and place the 'does not ravel' end at my hemline.... this area gets more stress and the other end at your neckline, shoulder, armhole area tends to be sewn down enough times to secure it... I pull the fabric, a tiny bit, you will see it right away... to determine which way is down and then cut away. My first knitting machine was a plastic bed machine, which could do some things but not others well. One of the things it could not do was to make pretty or well-functioning ribs, so I hand knit my ribs one evening, hung them on the machine the next day and simply knit a yard of fabric (I'm tall) on the end of each ribbing and bound off. I can knit 4 ribs, front, back, and 2 sleeves, in an evening and then knit the yardage in an hour the next day (of course, I've learned a lot and just knit them off on waste yarn now, no binding off. Then I cut and sew them just like any purchased knits only they are sweater texture, warmer, softer and dressier than the t-shirt patterns most of them start out with. I think I was not afraid to do this as my mother bought me what I considered an 'old lady dress' when I was in 8th grade, 3/4 length top with matching straight knit skirt. After my one 'you-have-to-wear-a-gift' wearing it sat for a couple of years. One day in a fabric store, I spied the perfect pale blue linen and knew it was a match. I took it home, made a lovely skirt out of it and thought I would just wear it with the sweater top....but the knit skirt nagged at me so I traced my oft' used 'crop top' pattern onto the skirt, stay-stitched it all around the tracings and then constructed a knit crop top and bound the armholes, neckline and hem with the leftover skirt fabric. I had a perfect suit with 2 different tops. I've never been afraid to cut a knit since and I certainly don't bother with the stay stitching either. That was approx. 1962 so I guess I fell in love with knits early. Love your site, the info was great and I'm glad to see there is someone else out there who loves to machine sew her knits as much as I do.... I use a 1/8" zigzag stitch (both width and length) to seam with...what do you like for your seams.... also use a serger sometimes...depends on mood. Thanks so much for your tips, your story, and your kind words. 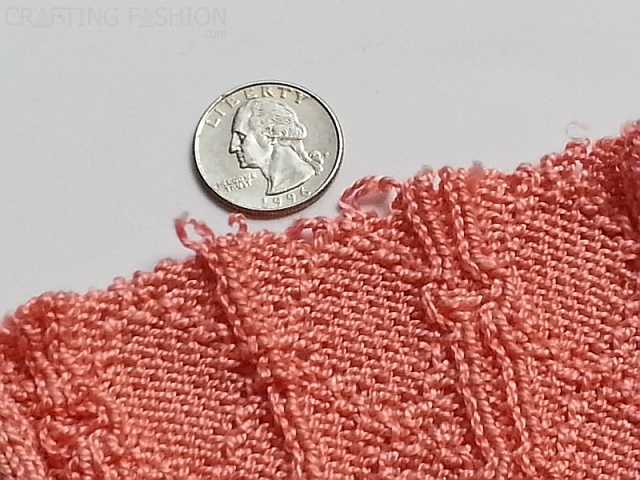 For my seams on the sewing machine, it really depends on the fabric thickness, but my narrow zigzag is usually closer to 1/16" for width and 1/8" for length. Please stop by again. I'd love to hear more. PPS.... love your info on 'finishing' your fabric before construction... I have pretty much blocked my knits before sewing and do like that better than unblocked sewing, but you are doing more steps and I can see that the texture and finish you have in the pictures is great....am gonna have to try some of your techniques....thanks for sharing. 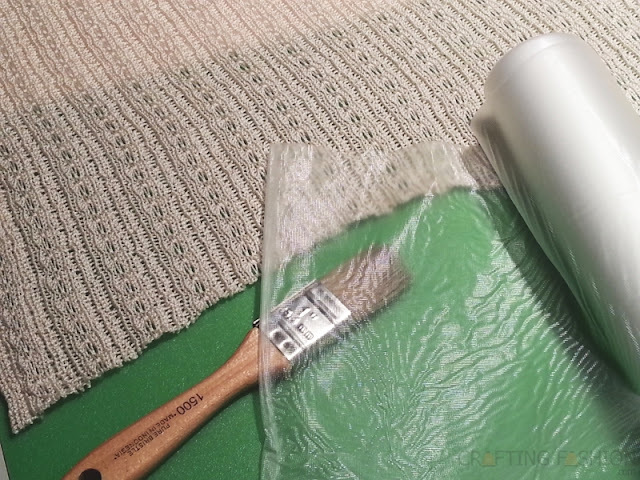 I love the fabric you used in this tutorial, do you mind sharing where you got it from!? Thanks for the awesome article! Thanks, Sara! I'm a knit textile designer. About 95% of the fabrics on this blog are my designs. Several are available in my online shop. The fabric in the top photo is available here. The fabric in the bottom 3 photos is available here.